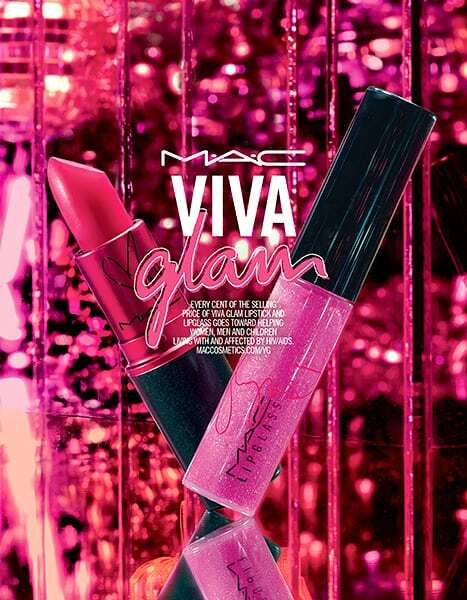 Now here’s some Miley news that has nothing to do with twerking and obscene gestures: Miley Cyrus has recently teamed up with MAC Cosmetics to launch a new product in their Viva Glam collection. The “Wrecking Ball” singer revealed herself as the new spokesperson for the collection on her Twitter last Wednesday. Miley shared the first photo of the campaign showing her wearing a studded black leotard while lying in a seductive “Miley” pose. But could we really expect anything less from the pop star? The items that are being featured in the line are a fierce pink lipstick with a matching shimmery lip gloss. Every cent that the Viva Glam collection makes will go to the MAC AIDS Fund, which benefits people living with HIV/AIDS. The products will be hitting shelves in Jan. 2015 with the prices both retailing at around $15 each. Cyrus joins other celebrities such as Nicki Minaj, Rihanna, and Lady Gaga in this long-run collection. So if you’re looking for something to mix up your weekend style, pick up her Viva Glam collection and donate to a good cause as well!